Look who greeted us to welcome the joyous month of Christmas! 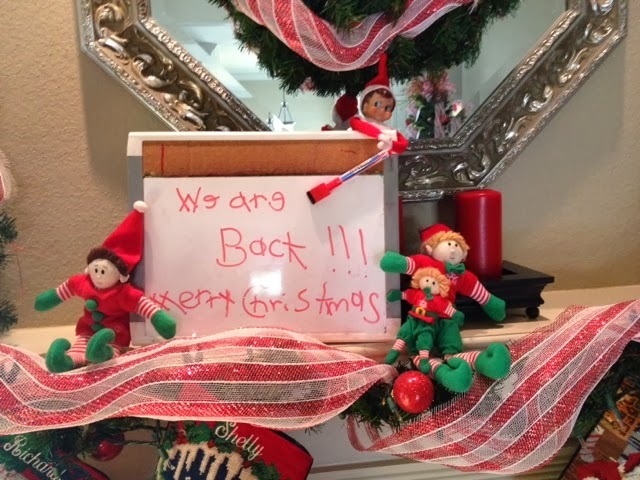 Our elves Jordan Lee, Bethany, Phil, and Baby are back to spend time with us this Christmas! December 3rd: we got haircuts... No that doesn't have anything to do with Christmas but these 2 were in despite need of a haircut and it look me 3 weeks to get an appointment! Praise Jesus for haircuts!!!! 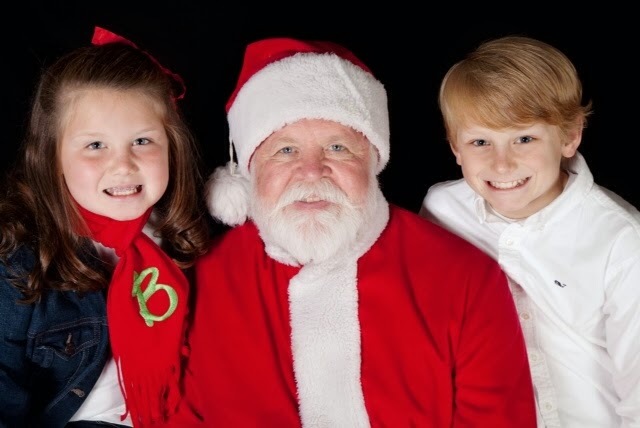 These little elves are always up to something and their little keepers are always doing who knows what with these guys! We went to run some errands one Saturday and I looked back and in between Jackson and Brylee were Phil & Bethany riding along all buckeled up! 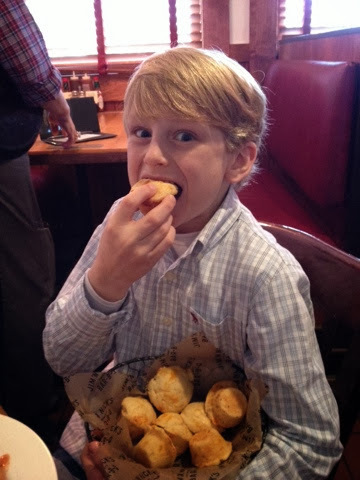 We went to Jim and Nicks for lunch that day and Jackson ate his weight in cheese biscuits! He told our waitress that he wanted them for Christmas and she gave him a to go box full of them and said Merry Christmas when we left! So sweet! 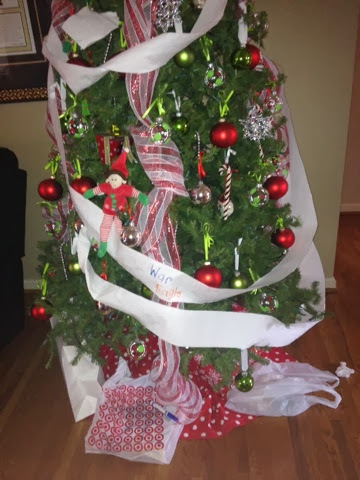 December 7th: Auburn won the SEC championship and are BCS National Championship bound and apparently our elves our Auburn fans because they rolled our Christmas Tree that night and wrote War Eagle on the toilet paper! 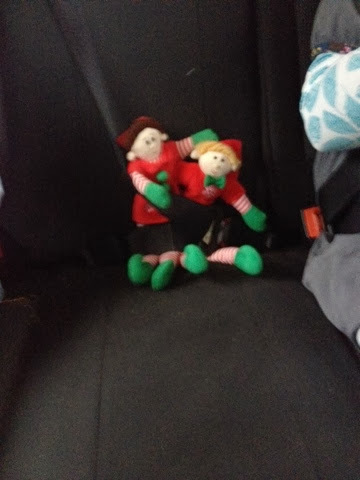 Smart Elves!!! 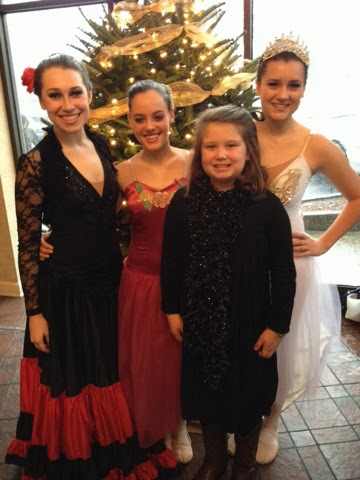 December 8th: GoGo, Brylee and I went to the Nutcracker ballet! 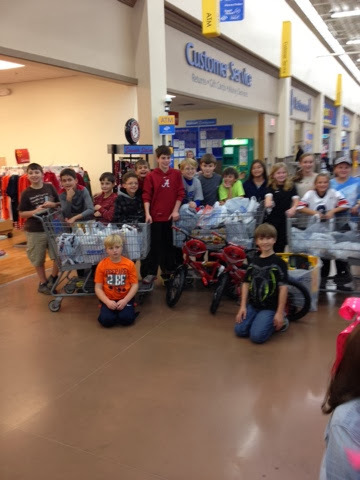 December 9th: Jackson and some of his fifth grade classmates went shopping at Walmart for their two angel children! 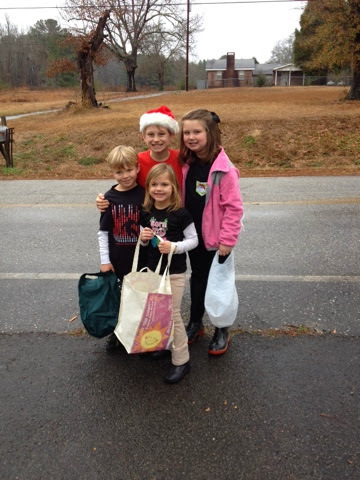 I loved this idea; it was a great way for the kids to focus on giving instead of getting! 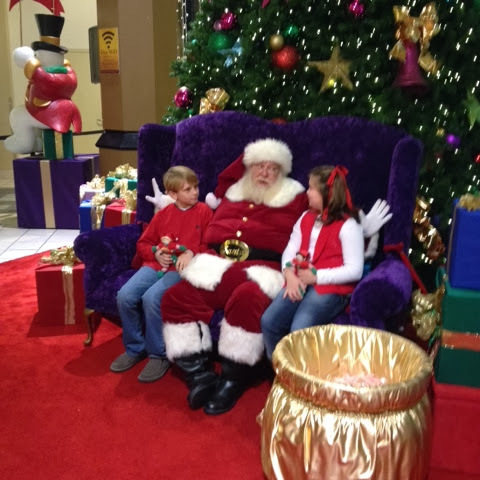 They had a great time shopping for these two little boys! I am happy to say these sweet boys got bikes and 3 buggies full of clothes, shoes, and toys! What a blessing! Totally random but where has Fred's been all my life. They have some of the cutest Christmas wrapping bags and paper for dirt cheap! 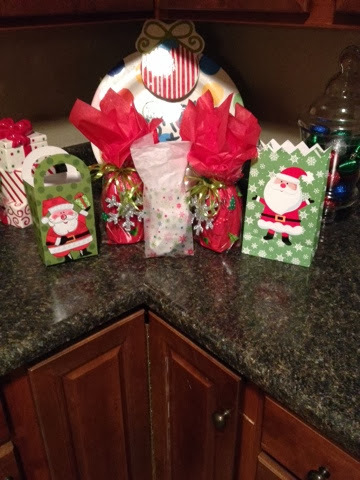 I love all my cute little sacks I found to wrap fun presents in this Christmas season! 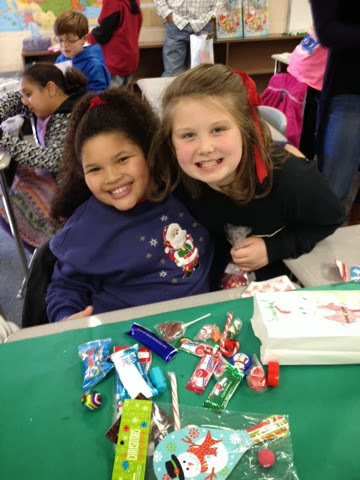 December 10th: Brylee's Class Christmas Party! 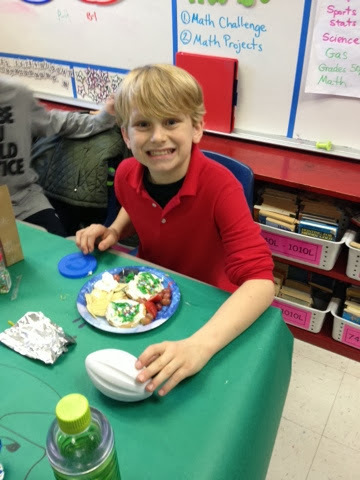 They decorated cookies and ate yummy snacks! 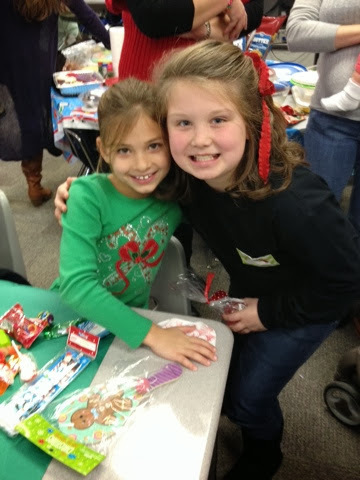 Brylee and her sweet friend Molly... It's a small world because Molly's grandad married Richard and I! 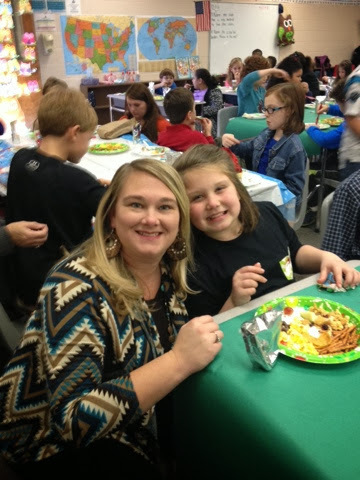 Brylee and another classmate Ashleigh! 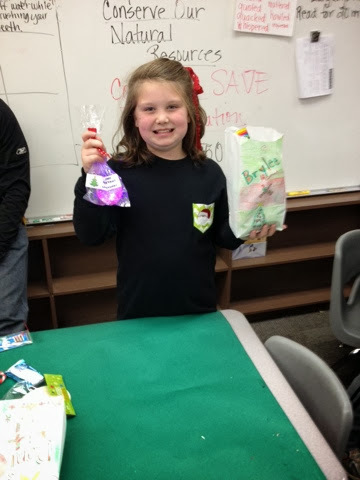 All the kids brought 24 of the same objects and the room moms made goodie bags for the kids! 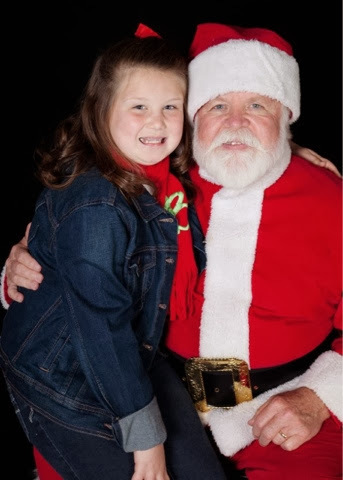 Brylee loved hers! 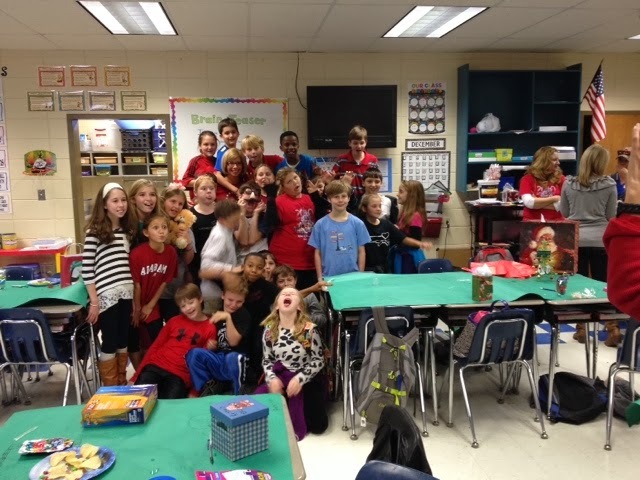 December 11th: Jackson had his fifth grade Christmas Party! 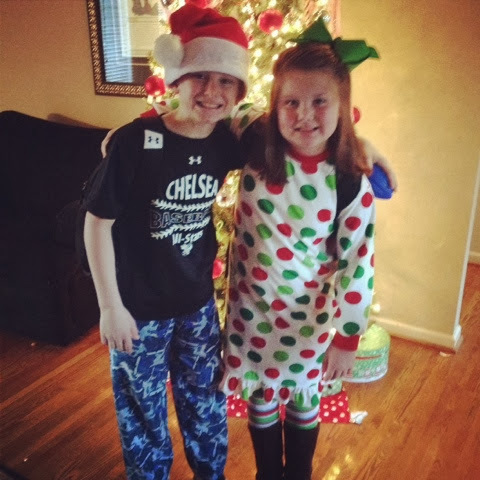 I can't believe this is his last Christmas Party because you know when they get to middle school all that fun stops! So I enjoyed being able to spend it with him! 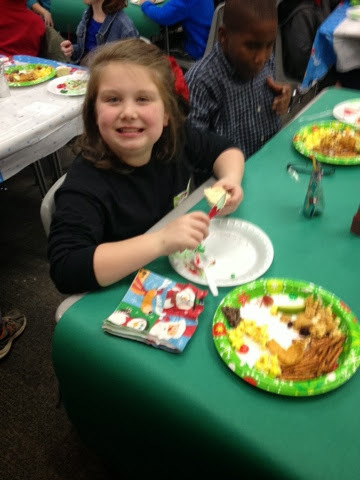 They decorated cookies and ate lots of yummy food too. 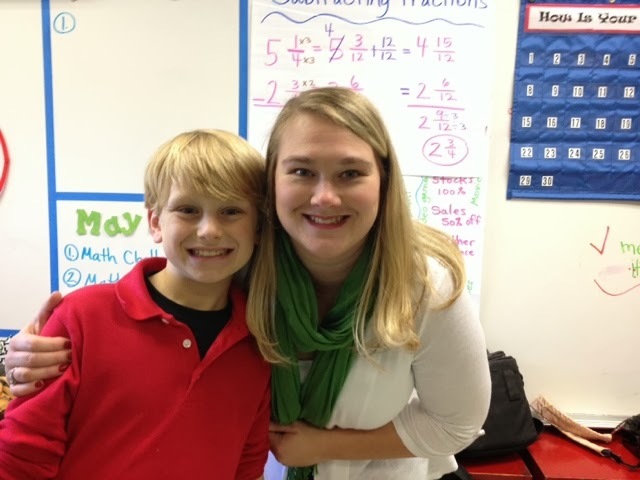 Jackson's Class: a bunch of crazy fifth graders! 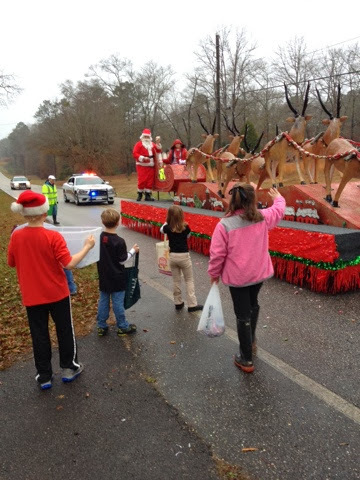 Saturday December 14th: we went to the westover Christmas parade! It is a little town close to us and Richard paw paw's house is there and we can just hang out there and they drive right by! Katie Zac Jackson and Brylee ready for the parade! They got tons of candy! And here comes Santa Claus! 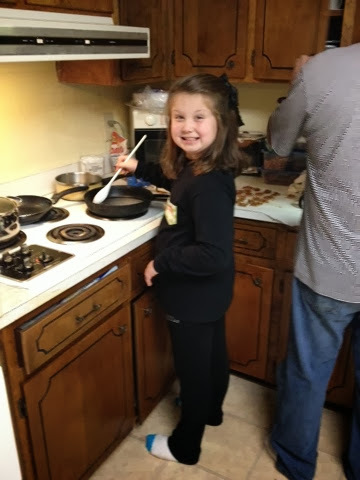 Later that day Brylee helped Pap Pap make sugar coated peanuts! 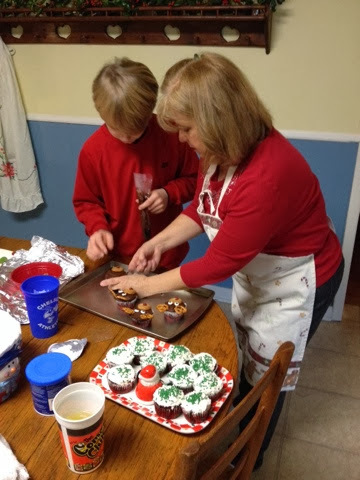 Jackson helped Granny make reindeer cupcakes! 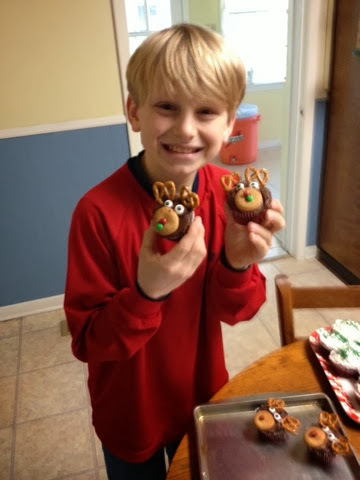 And leave it to a boy to make his reindeer have boogers... Boys will be boys! He thought his Rudolph with a green booger m&m was the greatest thing ever! December 15th: Powers Family Christmas! Richard parents had the Christmas celebrating at his Paw Paw's house which before it was his it was his other grandparents house! I know crazy story right... One set of grandparents owned the house and lived their for forever until they died and then his other set of grandparents bought the house and they lived in it until they died! No one has lived their for the last few years so Richard parents decided to fix it up and have the Powers Family Christmas there! 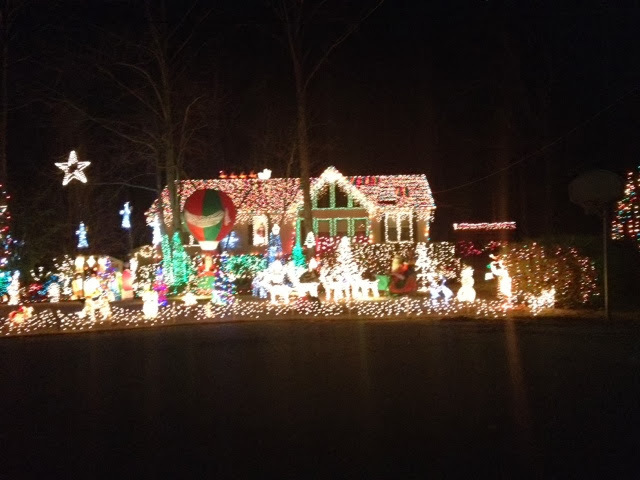 It brought back many memories for the grandchildren because they have memories of many Christmas Eves at this house celebrating Christmas with their cousins and aunts and uncle! 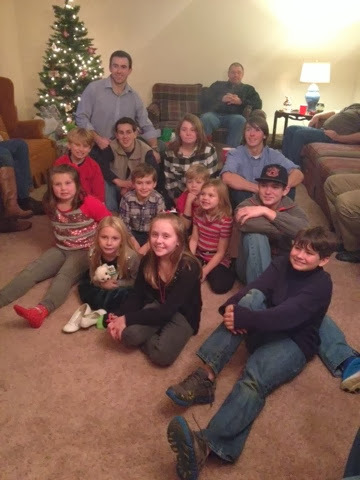 This is all the great grandchildren! Eagerly waiting for the reading of the bible story and then presents! 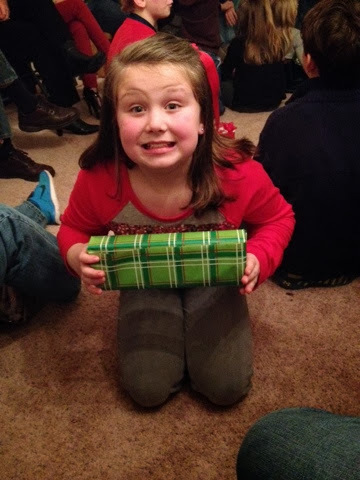 Brylee is excited and ready to open her present! 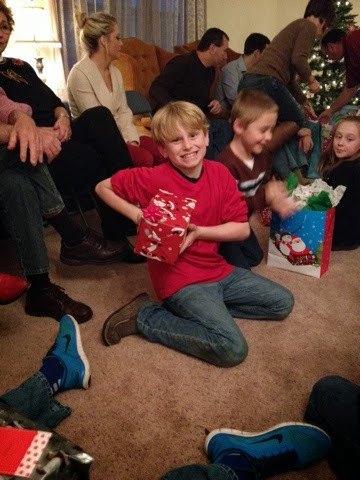 Jackson showing off his present too! And this was the kids last day of school for the year! They were suppose to go a 1/2 day on Friday but I let them play hooky and stay home with me! We even went to daddy's school and helped with his party! 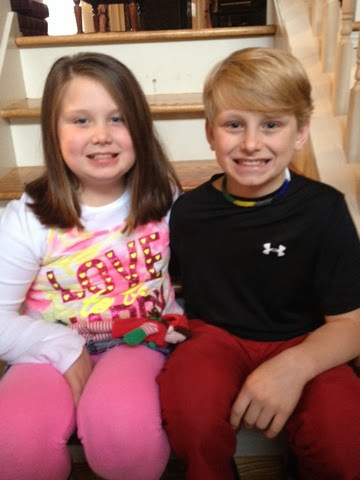 Jackson and Brylee are moving to a new school over Christmas break and there has been movers all in their school these last few weeks! They did not even have desk and chairs most of this week! Bless those teachers! 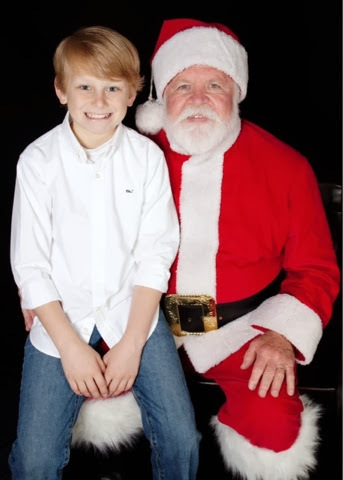 Santa and my big man! 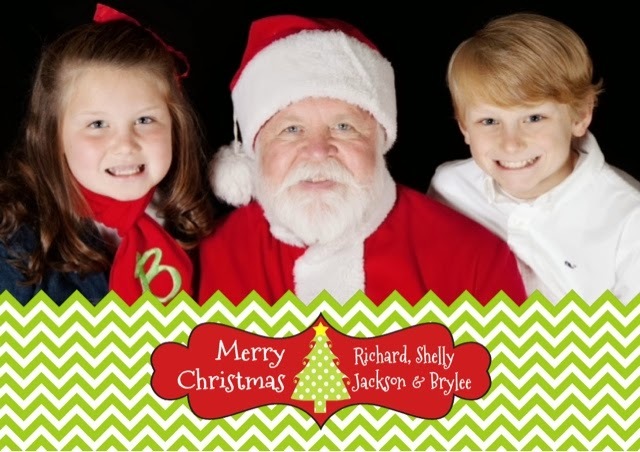 And this is our Christmas Card that just made it to the post office yesterday! Well today officially starts Christmas break for everyone in our family!!! For the first time in like six years all four of us will be off during the 2 week Christmas break! I honestly can't wait! For the first time in 6 years I do not have to go to work on December 26th or work like a crazy woman the whole time my family is off for Christmas break! Honestly this might be the best Christmas present I got this year! 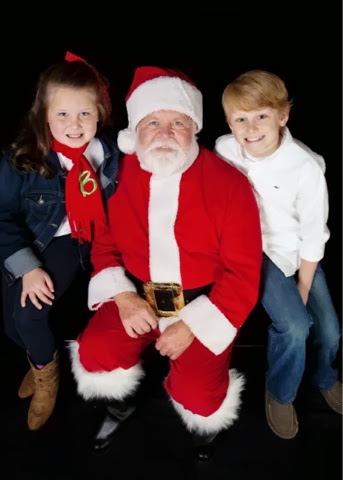 We may not be the richest family on the block and Santa may not be brining us as many presents as the house next door but we get to spend two weeks together during Christmas break and I can not tell you what a blessing that will be for us! 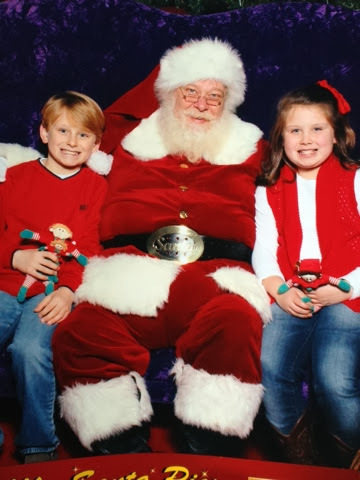 May you and your family enjoy a wonderful Christmas season together remembering the real reason for the season! It's not about Santa Claus and presents but about the birth of our Savior!